Tech One Global Pvt Ltd. initiates a game design and programming workshop for kids. Colombo, Sri Lanka, Friday, 5th of August 2016 — Tech One Global Pvt Ltd. announces its three-day game creation workshop for kids 10 to 13 years old. This workshop will be held on August 8 to 10, 2016; 9am to 5pm. As a part of the company’s educational endeavors, it spearheads a learning program that aims to inculcate the basics and a couple advanced ideas of game design and programming to the young generation whose interest is playing computer games. With the aid of Tech One Learning, the company’s educational arm, the workshop solely features Kodu — a user-friendly software that uses simple visual programming language for fashioning games playable for PC and Xbox — as the main game design and coding platform. This learning program will tackle topics that are essential for the use of this software. 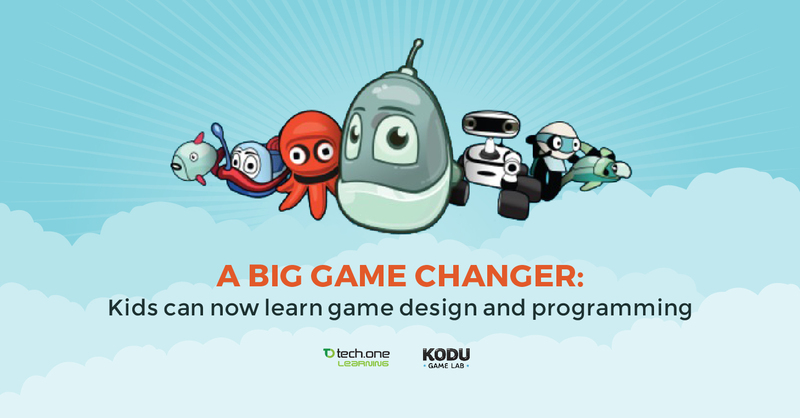 It includes Kodu basics, informal design process, game design patterns and a whole lot more. As for the conceptualization of the game play, subjects on rapid prototyping, game mechanics, theme and story creation and many others will also be discussed further along the way. All of these goes with an original courseware for LKR 15,000. Situated in Colombo, Sri Lanka, Tech One Global Pvt Ltd. is a company that responds to the growing needs of different industries for IT products, services and solutions. With an established excellence for IT, Microsoft Licensing and many others, the company shares its tenure with today’s aspiring young generation through Tech One Learning, its educational arm. Know more about this game creation workshop for kids HERE! You can also reach Pradeep at 0777 318 120 or pradeep@techoneglobal.com. Inquiries and suggestions are also welcome at learningsl@techoneglobal.com.